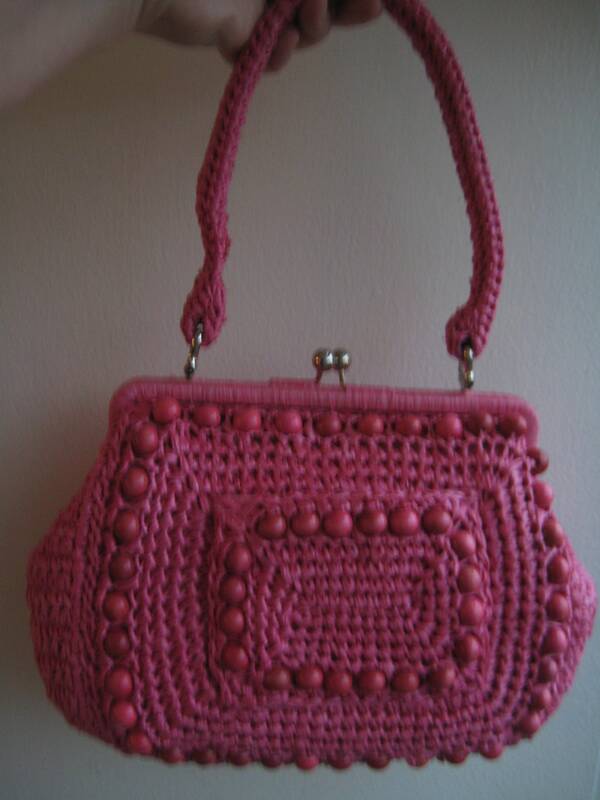 Beautiful pink raffia handbag. Made in Japan. Simply gorgeous condition for vintage! 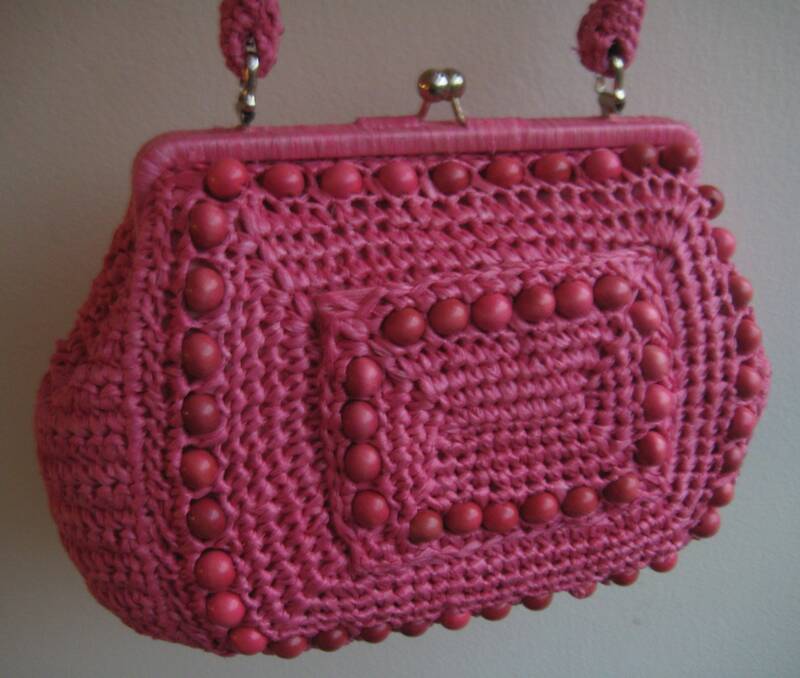 Woven raffia body with pink wood bead trim on the front. Matching handle with a 7 inch drop. Silver tone metal attachments and kiss closure. 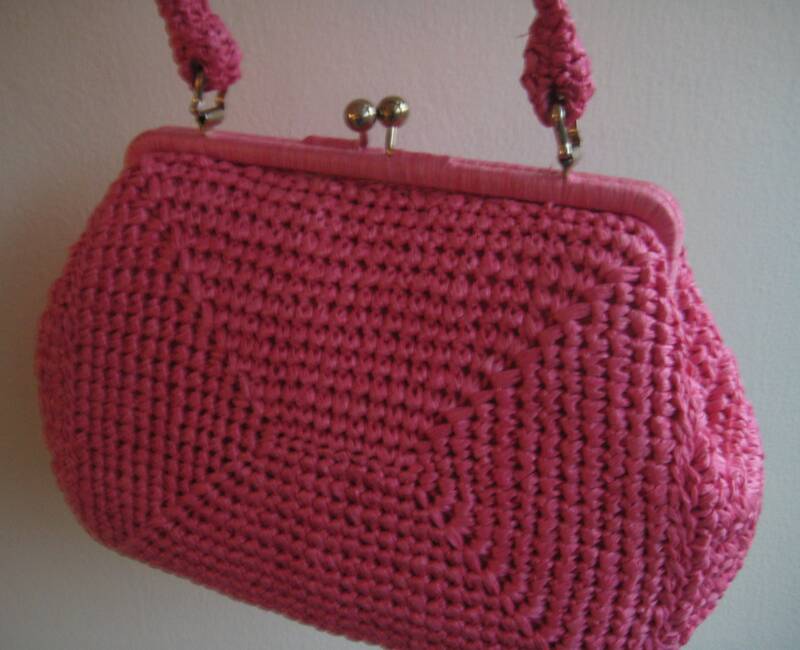 Mint condition cotton polyester pink lining. 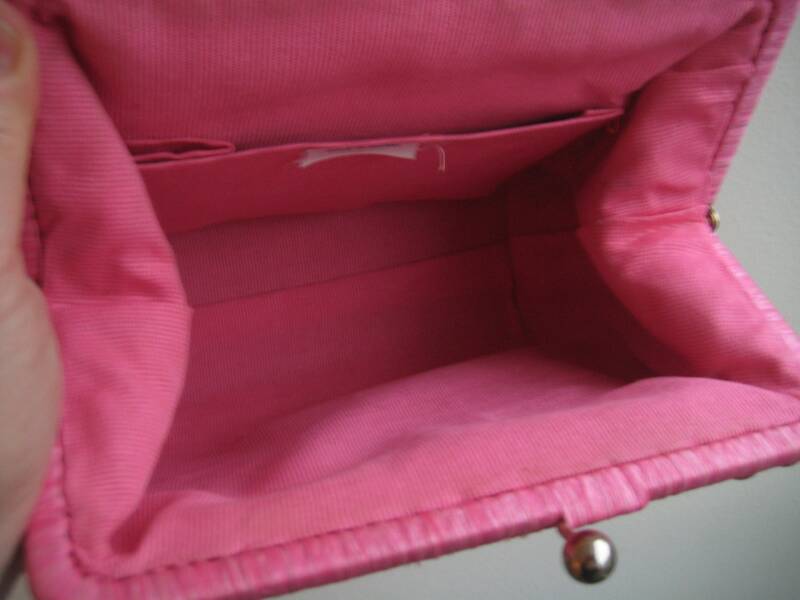 Super roomy inside with one side patch pocket. 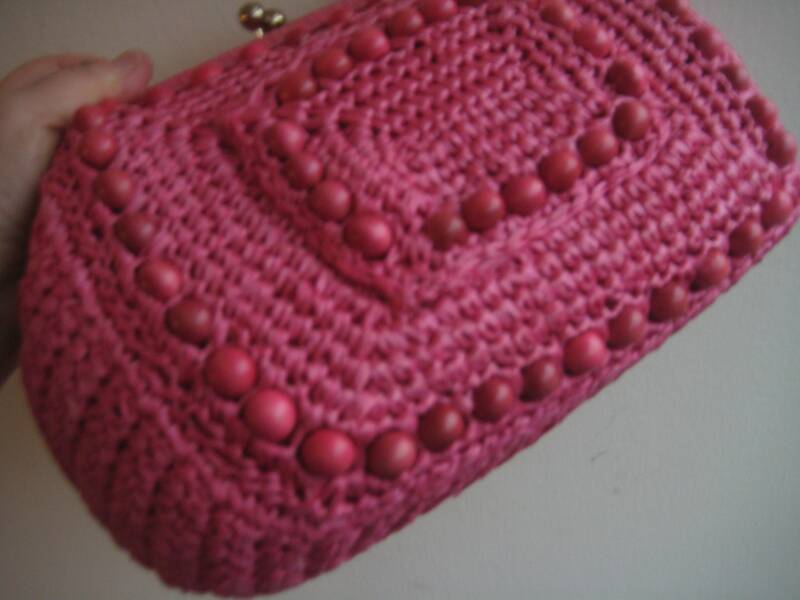 Dimensions: 11 inches long x 7 inches tall x 4 inches wide at the bottom.